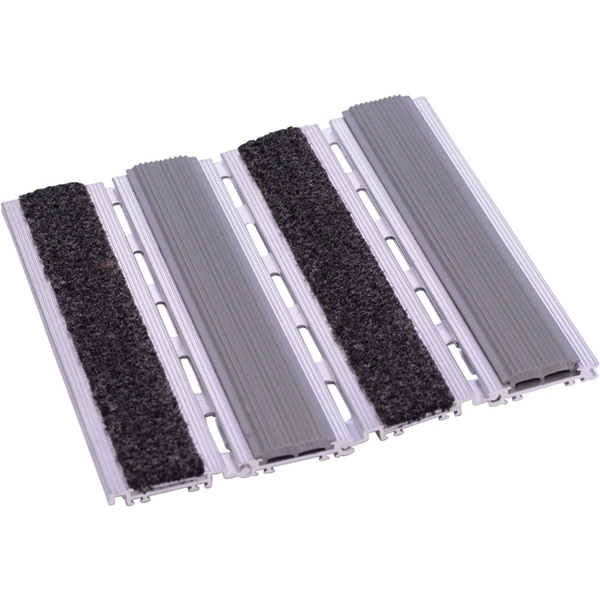 Babcock-Davis' MATdesign Roll-Up Mat is engineered with aluminum rails, ball and socket aluminum hinges and drain holes to allow debris and moisture to flow through the mat. Babcock-Davis warrants all Entrance Flooring Systems to be free from manufacturing defects in materials, factory finishes, and workmanship for a period of two (2) years from the date of shipment. Should a product fail to function in normal use within this period, Babcock-Davis shall furnish a replacement or new part at Babcock-Davis' discretion. The product must be installed, maintained and used according to Babcock-Davis product manuals, failure follow instructions shall relieve Babcock-Davis of any liability.